Play live dealer roulette at our recommended live online casinos listed below. Live dealer games give you more of a traditional land based casino feel while still playing online from the comfort of home. Live dealer roulette is a lot of fun and if you want higher betting limits, bet as much as $10,000 per game at live dealer casinos. At this time there are only a few live dealer casinos but many online casinos have plans of adding live dealers in the near future. Live dealer games are extremely popular because you get a "real casino" feel by playing online. Play just as you would in Vegas or your local casino only over a live streaming feed using the best online casinos. Our top casinos to play live dealer roulette are the BetOnline and 5Dimes Casinos. Both live dealer casinos have been in business for over a decade and both are highly reputable and offer a great live dealer experience. Both the BetOnline and 5Dimes Casinos welcome USA players while 32Red is only available for non-USA players. Use our link to sign up at any live dealer casino and also claim a great bonus to play live dealer roulette. If you do live in the USA you can also be confident your deposit will be approved at BetOnline and the other USA live dealer casinos we recommend. We have made multiple deposits at each casino to make sure they not only accept USA credit cards but get USA credit cards approved. 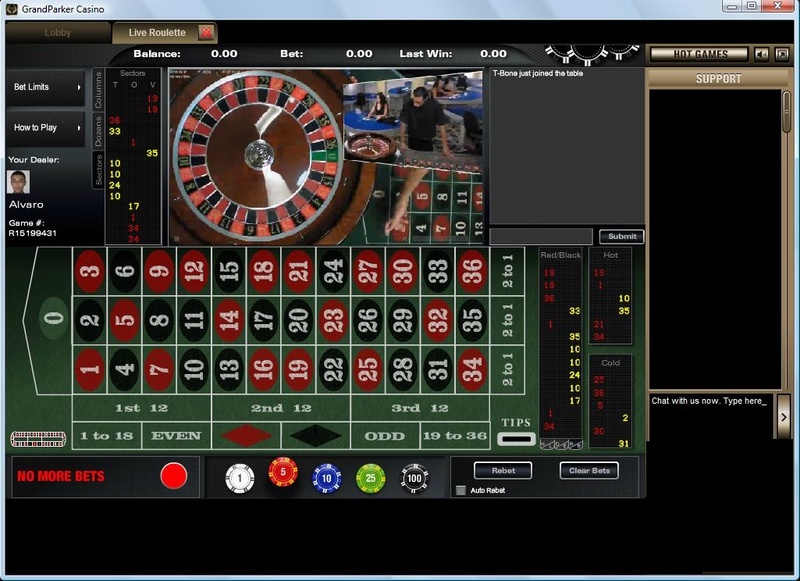 Playing live dealer roulette is the same as playing standard online roulette but you can see and chat with the dealer over a live streaming feed. Watch as the dealer spins the wheel and drops in the pill (roulette ball). When the pill stops all winning bets are paid off and the losing chips collected. Just as at land based and standard online casinos, you will be able to see past winning numbers as well as "hot" and "cold" numbers. The bets and odds are the same as any roulette table but the betting limits are much higher verses standard online roulette. Bet as much as $10,000 per game for both inside and outside bets. If you like high limits live dealer casinos are definitely worth checking out. Even though high limits are offered, you don't have to be a high roller to play. The minimum bet at most live dealer casinos is just $1 per bet with a total bet of just $10 per spin for both the inside and outside. If you like to play roulette but haven't tried a live dealer casino yet we highly recommend you give it a try. Most live dealer casinos welcome USA players and also do a great job getting USA deposits approved. Play live dealer roulette online and save a trip to your local casino or Vegas. You can also play other popular table games at the live dealer casinos like Baccarat, Roulette and Casino Holdem. Above is an example of a live dealer roulette table. Click the image for the actual table size of the table as this image was reduced in size to properly display it (you may need to enable pop-ups).